Thank You! You have inspired us! 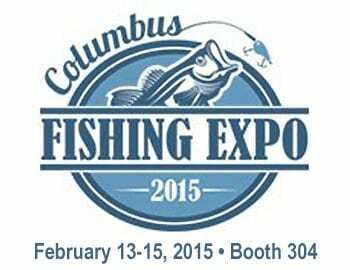 RBB had an excellent time at the Columbus Fishing Expo! We enjoyed the opportunity to meet and talk with so many anglers! From professionals, to the occasional angler, you all inspired us! We showcased some of our new products, like the Large Creature with Rattles, the 7″ & 10″ Ribbon Tail, and the Scamper Fish! These were all big hits and we are excited to hear from you, our customers, how these are helping you to catch the fish you want. You brought inspiration to us through conversation, the orders we took to make the baits that you want, and through ideas or ‘wants’ of rattles added to some of our other existing baits. We have accepted and are working hard to impress you again! Be sure to check back often to see what comes next… Contact us with your bait list and let us inspire you back! Also, check us out on Facebook for updates and shows we will be at!